Being imaginative is important to be creative. 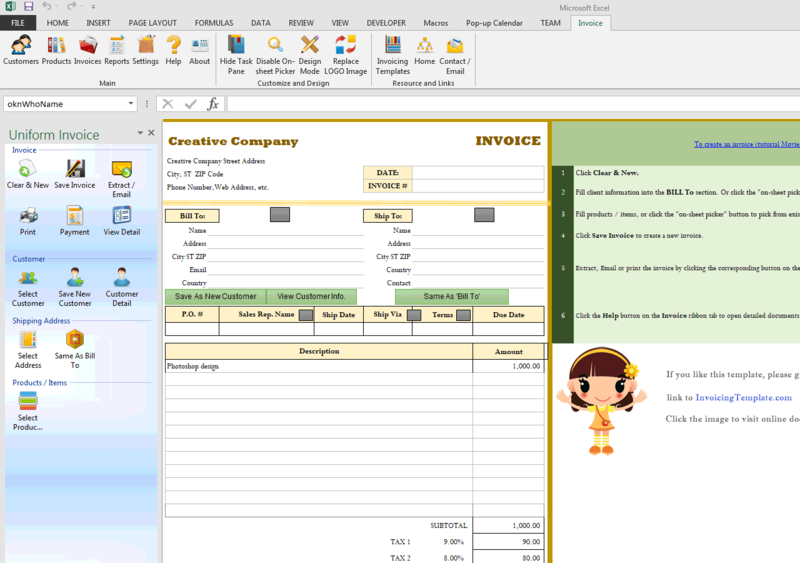 This free creative invoice template in Excel spreadsheet and PDF format adds a cartoon image of a thinking head (the creative man) as the background (i.e. watermark). 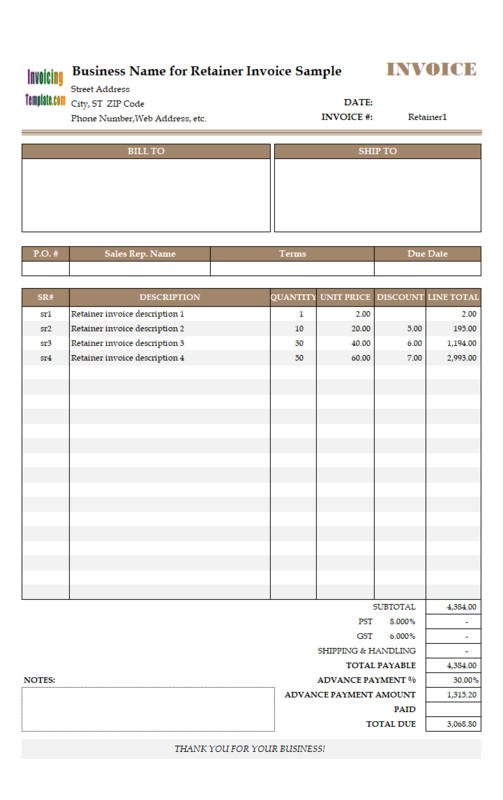 c2039 now includes the customized invoice template for the latest version of Invoice Manager for Excel. This is what you will see when you open creative.xlsx. 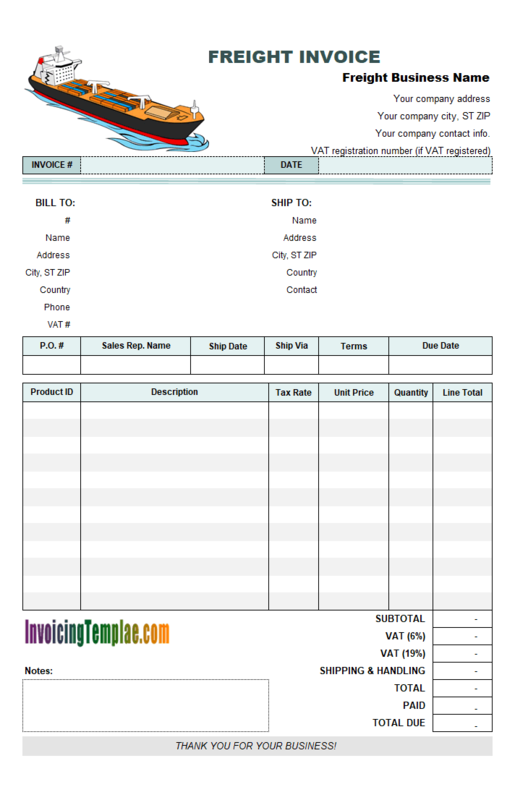 The template format is based on c2001 Sample Sales Invoice Template 2. It features logo image in the original design, but now we moved it to the bottom of the form. In this new (creative) layout, we kept the billing address and shipping address, but added underlines to all the fields in these two section. Invoice Manager for Excel (namely Uniform Invoice Software) hides gridlines and row/column headings when you exit design mode. The additional underlines, which are implemented by showing the bottom borders of cells, should make data entry easier. We also removed the zebra-stripe from the detail section, but added underlines to all the fields. The purpose of this design is to make the watermark image of creative man visible. This watermark cartoon image is originally a PNG image. The opacity of the image was set to 10% using Adobe Photoshop. 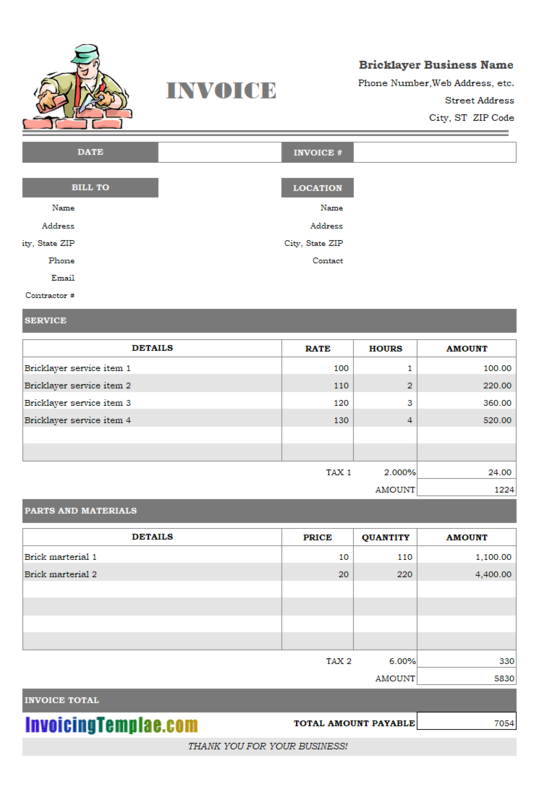 Like the other watermark-enabled templates available here on InvoicingTemplate.com, the watermark shows only printed invoices and PDF invoices. You can find more samples like this at designer invoice templates. While Microsoft Excel itself does not produce beautiful images and photos, by using the result of Adobe Illustrator or Photoshop, it is possible to create eye-catching designs using Excel. On the other hand, with Excel you can easily do calculations using formulas, not to mention other powerful features offered by Invoice Manager for Excel (namely Uniform Invoice Software), such as automatic invoice numbering. In the default template shipped with Invoice Manager for Excel (namely Uniform Invoice Software), the taxes are calculated from a special "oknLineTotalTaxable" cell. 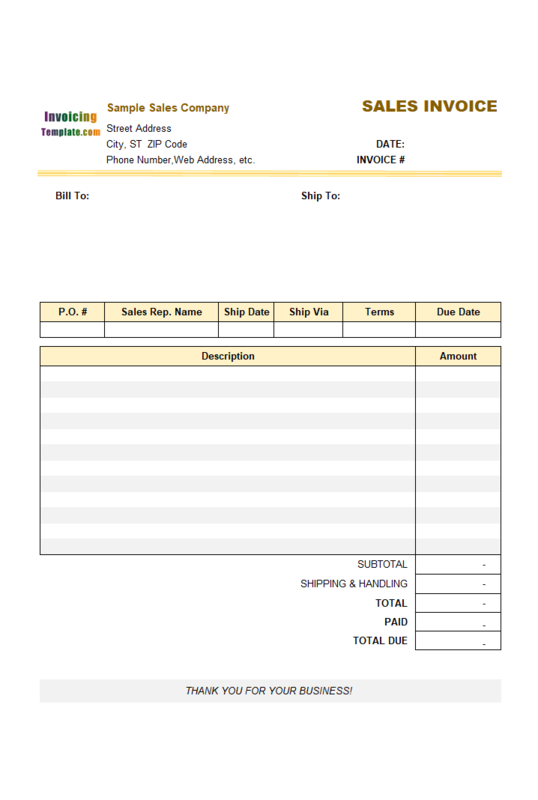 This creative bill sample simplify the tax calculation by assuming all items are taxable. This is not always true, depending on what your business is. So before you begin, you may need to research the IRS file for small business and self-employed at What is Taxable and Nontaxable Income, or on libertytax.com at Taxable Income and Non-taxable Income, or consult a local tax advisor near you. Invoice Manager for Excel (namely Uniform Invoice Software) is pretty flexible on taxing. 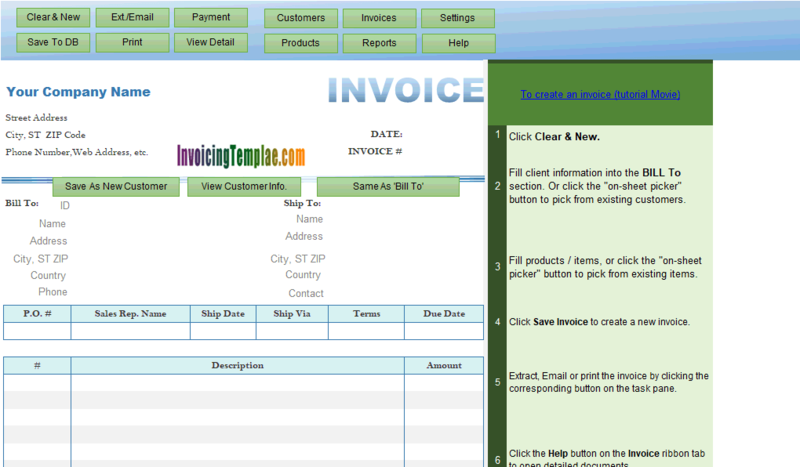 See more samples at tax invoice templates. 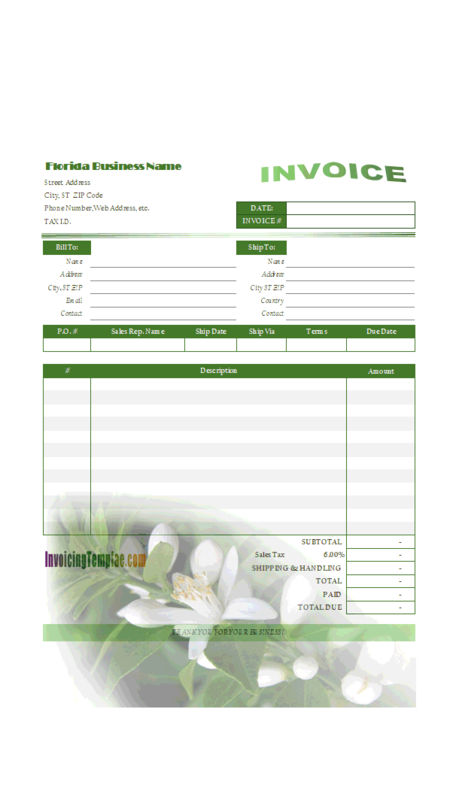 Like other form designs here on InvoicingTemplate.com, Creative Billing Form is free (offered to you at a price of 0.00USD). It works on Windows XP and all newer versions of Windows, and Excel 2007, 2010, 2013 or 2016.